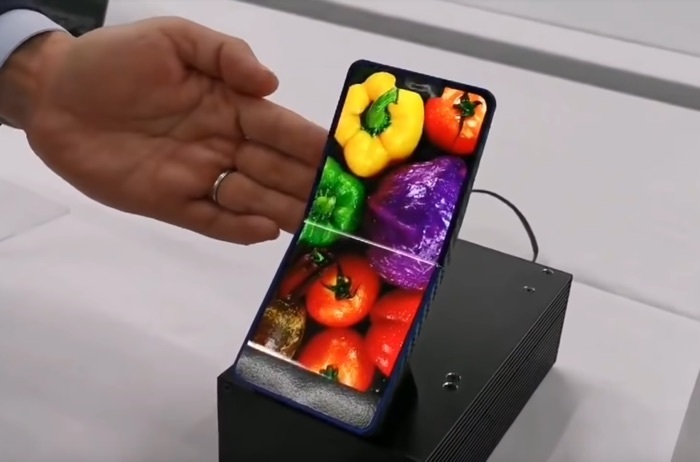 We already have a number of foldable smartphones on the market, like the Samsung Galaxy Fold and now Sharp has shown off a new prototype foldable smartphone display. The display is an AMOLED display and it measures 6.18 inches, it has a resolution of 3040 x 1440 pixels and the display can be seen folding in the video below. As we can see from the video the display is folded inwards, Sharp has also revealed that it can be folded outwards. The company has said that the display is capable of withstanding 300,000 bending cycles. This is obviously a prototype at the moment but we could see it launched in future smartphones, as soon as we get some more details, we will let you guys know.